Celebrating a milestone anniversary? 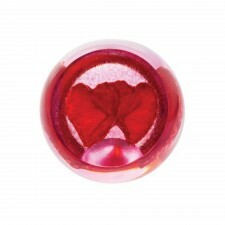 This stunning glass paperweight is a perfect way to send your congratulations or to mark that special occasion! 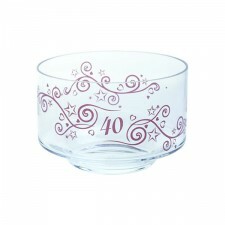 This stunning Caithness Glass paperweight features a ruby red background with heart motif, ideal for celebrating 40 years. Stylish, this paperweight is sure to add the perfect finishing touch to any display, mantlepiece or even on your desk. Handmade in Scotland and gift boxed, these glass paperweights make gifts which will be treasured forever.